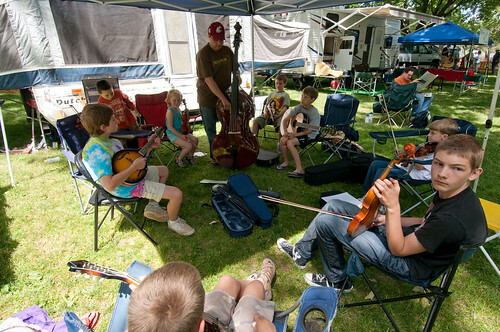 Scene from the 2009 Sacajawea Bluegrass Festival in Pasco, WA. Photo by Scott Butner (scott_butner@charter.net). Due to time limitations, I've posted just a small percentage of the photos taken at the event. If you are looking for more pictures of a specific band or event, drop me a line and I'll try to get them online as I have the chance..